Brass 3/4 inch hose union bib tap. 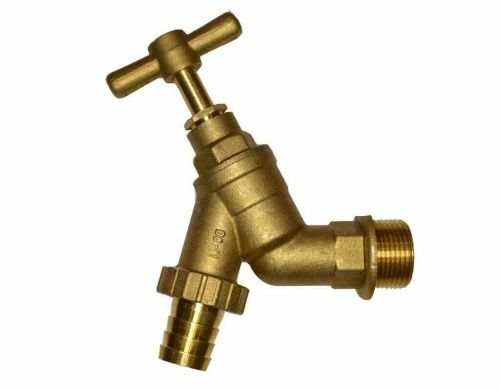 Male inlet thread is British standard pipe thread, 3/4 inch size. 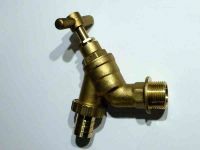 Note : This is BIGGER than a regular outside tap - as the tap is larger than usual, hozelock style garden hose connectors will not fit on the outlet. These are often used in an industrial environment, it is more normal to have a smaller 1/2 inch tap in a domestic setting.